Locate Your Fun In The Sun! Your Thoughts Monkey Island Pub. 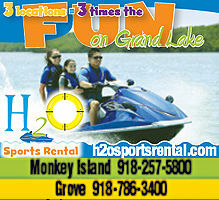 Grand Lake, Oklahoma's Summer Fun in the Sun!